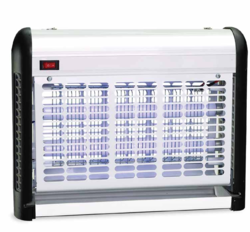 Providing you the best range of electric fly killer machine, electric flying insect killer machine, electric insect killer with stand, electric mosquito killer, electric mosquito killer machine and electric mosquito pest killer machine 39 w with effective & timely delivery. This item is designed with dual side wrap-around guard which enlarges coverage area. It is made of full aluminum alloy materials, strong and durable, equipped with SUPER UVA tube which uses Philips technology,30% more effective in attracting in flying insects. This product is made of PC material, strong, durable and artistic. 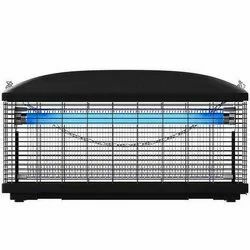 With 360 degree vertical high tension grid, it has a better performance in killing insects. It is suitable for outdoor and indoor use with IPX4 water proof. Application Hotel, Office, Hospital, etc. UV tubes attract flying insects by emitting a wavelength of light attractive to flies.Flying insects are attracted to the tube which emits UV at a level comparable to that of the sun, which the flying insect has a natural attraction to as a source of heat.Electric fly killers use UV light to attract flying insects to the unit, then use a killing grid to kill the insects, before retaining them in a catch tray to allow hygienic disposal. 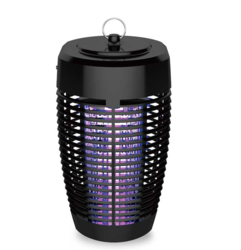 The Wantrn Ultimate Insect Killer Machine features two powerful 10W bulbs that combine for20W of zapping power. 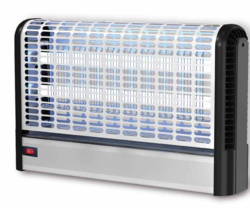 Regardless of the size of your facility or the time of year, this unit is a great way to keep flies, moths, mosquitoes. The upper cover of this product is made of aluminum alloy materials, shiny, oil-proof, scratch-proof and easy to clean. It is metal outer guard, strong and durable, equipped with Super UVA tube which uses Philips technology, 30% more effective in attracting flying insects. This product is highly effective in killing insects, fashionable and safe. It can create a pest-free living space for consumers, avoiding the risk of Dengue fever and other kinds of diseases. This item is designed with 3 sides wrap-around metal outer guard, enlarges coverage area effectively, strong and durable. Equipped with super UVA tube which uses Philips technology, it is 30% more effective in attracting flying insects. Three-way mounting for flexible installation Simple wall, ceiling or desk mounting with no extra parts. 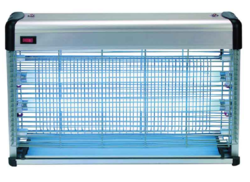 Electric fly killers use UV light to attract flying insects to the unit, then use a killing grid to kill the insects, before retaining them in a catch tray to allow hygienic disposal. 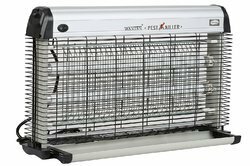 The Wantrn Ultimate Insect Killer Machine features two powerful 18W bulbs that combine for 39 W of zapping power. Regardless of the size of your facility or the time of year, this unit is a great way to keep flies, moths, mosquitoes. UV tubes attract flying insects by emitting a wavelength of light attractive to flies. Flying insects are attracted to the tube which emits UV at a level comparable to that of the sun, which the flying insect has a natural attraction to as a source of heat.Electric fly killers use UV light to attract flying insects to the unit, then use a killing grid to kill the insects, before retaining them in a catch tray to allow hygienic disposal. 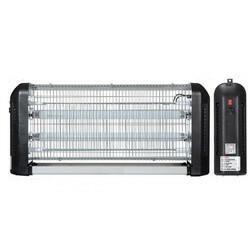 The Wantrn Ultimate Insect Killer Machine features two powerful 15W bulbs that combine for 30W of zapping power. 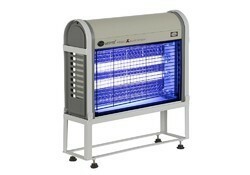 Regardless of the size of your facility or the time of year, this unit is a great way to keep flies, moths, mosquitoes. When the tray is dirty, switch the device to off, remove the tray, slide the insects into the trash, wash and dry if necessary and replace.